Do Irish Confucius Institutes Threaten Academic Freedom? Ciannait Khan investigates whether the Confucius Institutes, present in UCD and UCC, are benign promoters of Chinese language and culture – or if they are cause for serious concern. In the bright hallways of the UCD Confucius Institute, a bronze sculpture of the eponymous philosopher surveys his kingdom. The newly opened building, which has been lauded for its design, is sleek and airy with whispers of Chinese influence. “It’s the most beautiful building on campus,” Prof Liming Wang, director of the institute, tells me. At lunch time, dozens of students sit on the steps outside, looking over the reedy pond. It’s a beautiful snapshot of UCD life, but it has come at a cost. The new Confucius Institute building drew controversy back in 2016, when UCD President Andrew Deeks requested an extra €2.5 million from the Department of Education to complete its construction, in order to avoid what he termed “a diplomatic incident” with Beijing. In 2017, the Irish Times reported that the project had run €4.8 million over budget. The building was funded by both the Irish and Chinese government, while UCD paid the balance. It wasn’t just the cost of the building that raised eyebrows. In 2014, Deeks signed an agreement with Hanban, the world headquarters of Confucius Institutes, a body that is affiliated with the Chinese Ministry of Education. Should UCD back out of hosting the Confucius Institute, it would be obliged to pay Hanban the balance of its contribution at a rate of €60,000 a year. Despite the negative media attention, some consider the move by UCD a wise investment. One academic at UCC even suggests to me that Trinity is losing a competitive edge by not having a Confucius Institute. He certainly had a point. In my conversation with Prof Wang, he speaks frankly about China’s fast-approaching ascendancy to world’s greatest economic power. The once-distant prospect feels, in today’s turbulent world, only a whisker away. Forging strong links with such a powerhouse, well – it seems, in many ways, a sensible strategy. Universities haven’t let the opportunity pass them by. Since 2004, Confucius Institutes have sprung up on campuses around the world. Today there are over 500 – excluding the ones that have already been shut down. Confucius Institutes exemplify Chinese “soft power”, a notion that has recently begun to populate headlines. The idea of soft power, at its heart, is to attract rather than coerce. It’s something the US has excelled at for decades, intentionally or otherwise. By depicting a way of life – whether it’s the American dream or the Chinese equivalent of it – as appealing, powerful countries can infiltrate others: through culture, through media, through language. It is a particularly subtle form of social control: it gets under people’s skin, and often they don’t even realise. It shouldn’t come as a surprise to anyone that China has launched a positive PR campaign for itself. Negative Chinese stereotypes predominate – influenced, no doubt, in large part by anti-communist sentiment in US media. Despite China being home to over one sixth of the world population, few Irish people are at home with its language or culture. As Prof Wang points out to me, while Japanese has long been an option on the Leaving Certificate curriculum, Mandarin has never been offered (this is about to change: from 2020, fifth-year students will be able to take the subject as part of the senior cycle). It’s this lack of awareness about Chinese culture in Ireland that Wang wishes to counter. He tells me that when he first arrived in UCD in 2006, his reception was not good. The university did not even have an office for him, and he spent his first week in another professor’s lab. Today, however, Wang’s is a spacious office in the state-of-the-art Confucius Institute. It was he who, in 2006, sent a request to Hanban asking for permission to establish the institute in UCD. Wang has also been a driving force behind the expansion of UCD’s Chinese Studies programme. Where the first intake of students on UCD’s first Chinese studies course was 14 back in 2006, there are now between 400 and 600 students who study the subject in some capacity. Wang also does outreach to primary and secondary schools, to encourage children and teenagers to become interested in Chinese culture. It’s important, he says, for people in Ireland – especially the younger generations – to be prepared to meet this “new economic power from the East”. For Wang, building these bridges between China, his homeland, and Ireland, where he has lived for over 20 years, has been a dream come true. But he is also not blind to the suspicions that orbit the institute of which he is so proud. He is keen to clear up any confusion surrounding the institute’s governance. Around the world, universities have been shutting down Confucius Institutes on their campuses. In the UCD Confucius Institute, the highest authority is the executive board, made up of four UCD academics and three from the institute’s partner, Renmin University in Beijing. (Renmin University has recently attracted controversy of its own: Cornell University in the US has recently cut its exchange programmes with it. In the Washington Post, associate professor at Cornell University, Eli Friedman stated that “the university has actively suppressed speech, engaged in widespread surveillance and punishment of student activists, and even been complicit in forcibly detaining one of their own students”). Wang insists that Hanban – which some say is a leg of the Chinese government used to spread propaganda – is nothing but a founding body, an organisation that the UCD Confucius Institute can apply to for funding for projects just as it would from, say, the EU. As far as Wang is concerned, he reports to the head of UCD. 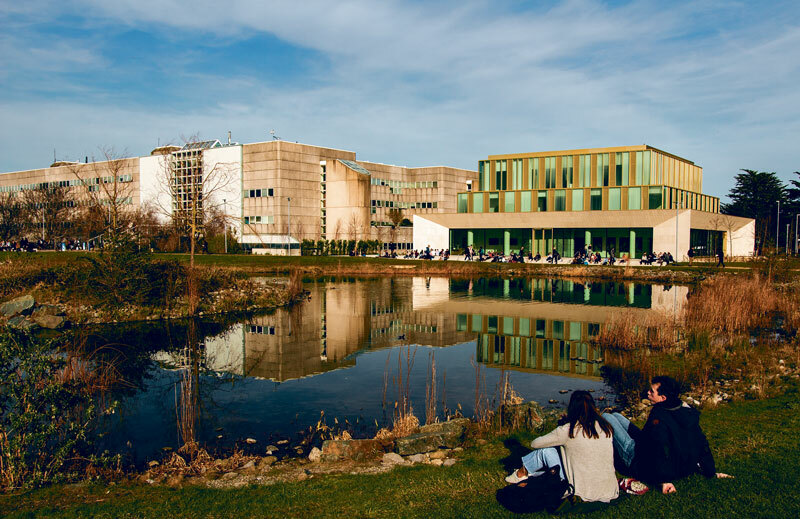 “Critics of Confucius Institutes often have had little or no direct involvement in the institutes and may be unaware of the governance arrangements which apply”, the President of UCD, told me in an email statement. When I speak with Dr Isabella Jackson, a Trinity lecturer in Asian studies, however, she insists that it is Confucius Institutes’ inextricability from universities that is precisely the problem. 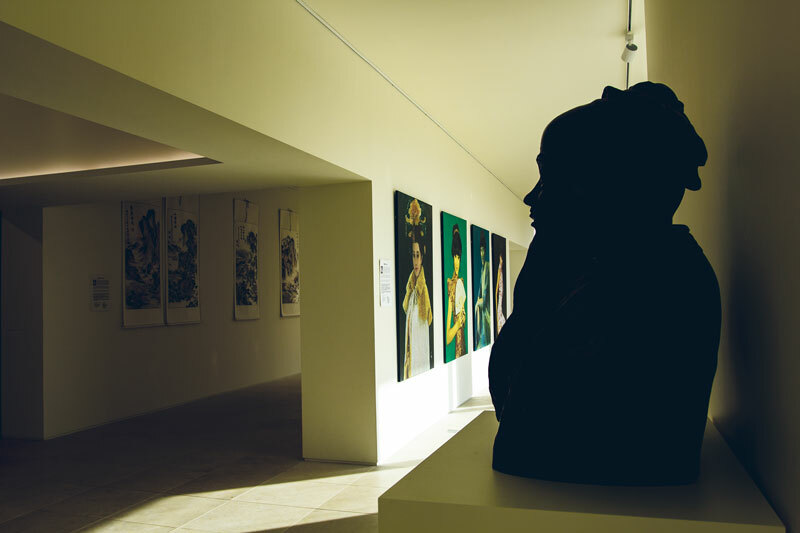 Unlike the Alliance Francaise or Goethe Institut, to which Confucius Institutes are regularly compared, Confucius Institutes insist on being housed on university campuses – and, as Jackson points out, that often comes with matched funding expectations. As we know, in UCD’s case, it came with a 50-year contract: the university cannot back out, even if it wanted to. “Because they’re there in the university, it’s more difficult to resist them than if they’re entirely separate”, says Jackson. There’s also a sense, she says, that “if someone is kind of observing what you’re doing at close quarters, there’s a risk you might feel you might start to self censor”. “If they were setting up across the road, like the Alliance Francaise, as an independent institute offering language and cultural classes”, says Jackson, “there’s no one who would have an issue with that”. Jackson is strongly in favour of more people learning Chinese, and an important part of her work – having lived in both Beijing and Shanghai herself – involves dispelling the fear of the unknown that is often levelled at China. But her efforts to clear up misconceptions about China do not mean she doesn’t have legitimate concerns about how the country exerts influence abroad. Jackson notes the “three Ts” that China is notoriously cagey about: the Tiananmen Square massacre in 1989, when many protesters were killed by Chinese authorities; the sovereignty of Tibet; and the status of Taiwan. Jackson also notes that many Confucius Institutes are known to report directly to Hanban in China – something she experienced herself when she worked in Aberdeen University, which hosts a small Confucius Institute. For Wang, suspicions around Chinese influence boil down to the country’s power. He calls China development over the past forty years an “economic miracle”. Wang compares the country to a giant who has grown at alarming speed, which naturally prompts its neighbours to look up in fear. This, he thinks, is why many people perceive China as a threat. China is well aware of this: it has actively tried to counteract so-called “China threat theory” by promoting the antithetical narrative of “China’s peaceful rise”. Wang makes a compelling case for the importance of fostering ties between Ireland and China – what he calls “mutual understanding”. Soon, China will become the world’s largest economy. Understanding the country’s culture and language better can only be a boon to the Irish population. Accepting Chinese influence uncritically, however? That could be a problem, especially given the country’s active attempts to influence perceptions of it abroad. Jackson explains that China have stepped up their propaganda efforts recently, including taking out sponsored content in newspapers like the Irish Times. This isn’t necessarily cause for alarmism. It’s no secret that countries like to portray themselves well on the international stage. But as Jackson puts it: while there isn’t necessarily anything to be afraid of, there’s certainly a lot to be aware of. When it comes to Confucius institutes, Jackson believes they can be entirely benign – if universities are very careful about how they put together the agreement. “It’s something I think universities are right to be very cautious about”, she says. The problem with power is that it can be slippery. Some people have described Confucius Institutes as “Trojan horses”. The argument goes that the Chinese government is using Confucius Institutes to gain footholds in international universities. Once they have access to universities – societies’ primary centres of knowledge and learning – it’s a lot more difficult resist any pressure they choose to exert. That powerful countries like China wish to throw their weight around should come as no surprise to anybody. But if there’s anyone whose responsibility it is to champion academic freedom and defend people’s right to it at all costs, then surely it’s our universities. At the end of the day, it’s up to them to make sure that whatever agreements they make – no matter how cash-strapped they are – academic integrity isn’t compromised.